NYC is one of the most photographed places in the world, especially this time of year. And while Instagram has made every one of us feel like a professional photographer, let's face it, we're not. 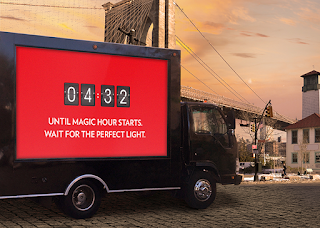 Enter Canon's digital billboards placed throughout some of the most popular spots in NYC providing over 200 real-time tips based on things like weather, sunrise/sunset, and even traffic so we can take the absolute best shot in that location. Now that's useful advertising people actually want to receive! Well done.